Andi’s latest adventure took us to local Farmers Markets. Andi enjoyed exploring the markets (she especially liked the free samples! 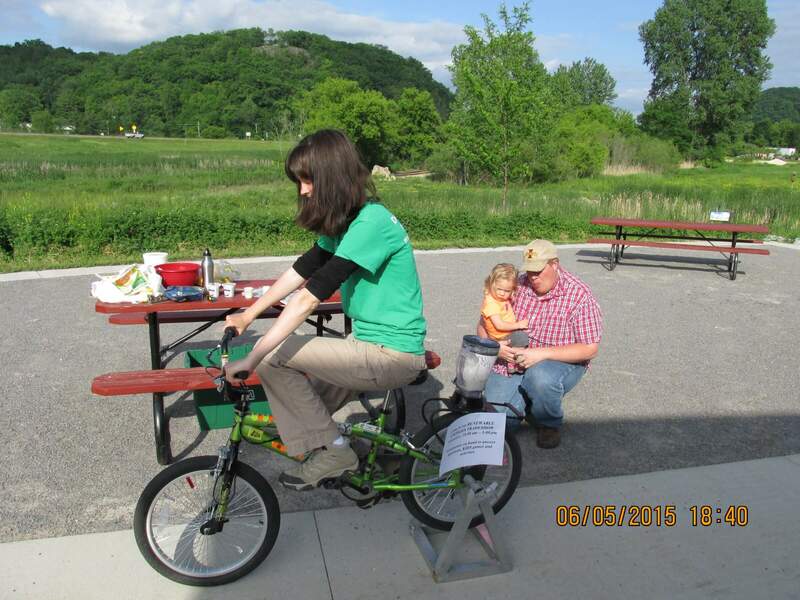 ), and she loved visiting new places, like the Farmers Market at the Driftless Nature Center in Marquette. 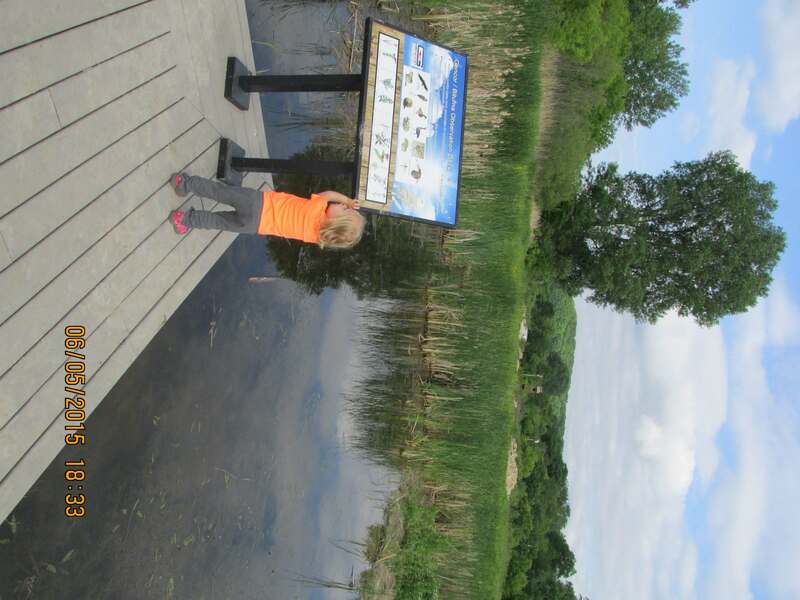 The market has local producers, food, and crafters as well as a beautiful view of the wetland. On Friday nights the market frequently features live music and educational/special programs. On Andi’s adventure she got to taste a spinach smoothie powered by a bicycle blender! 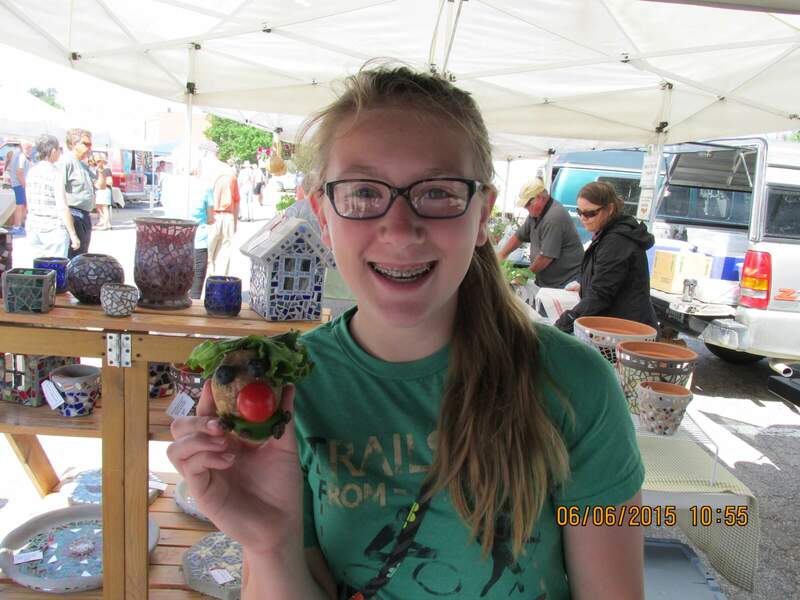 Andi also loved the Decorah Farmers Market. She enjoyed a visit to the Food and Fitness stand where she worked with her Aunt Maddie to create a Mr. Potato Head out of fresh fruits and vegetables. The booth has a different activity for kids each week, featuring healthy food and fitness ideas. The best part of our Farmers Market adventures was having fresh and delicious foods to bring home and cook together! We purchased spinach and made homemade spinach pizza (just blend spinach into your pizza sauce for extra nutrients! 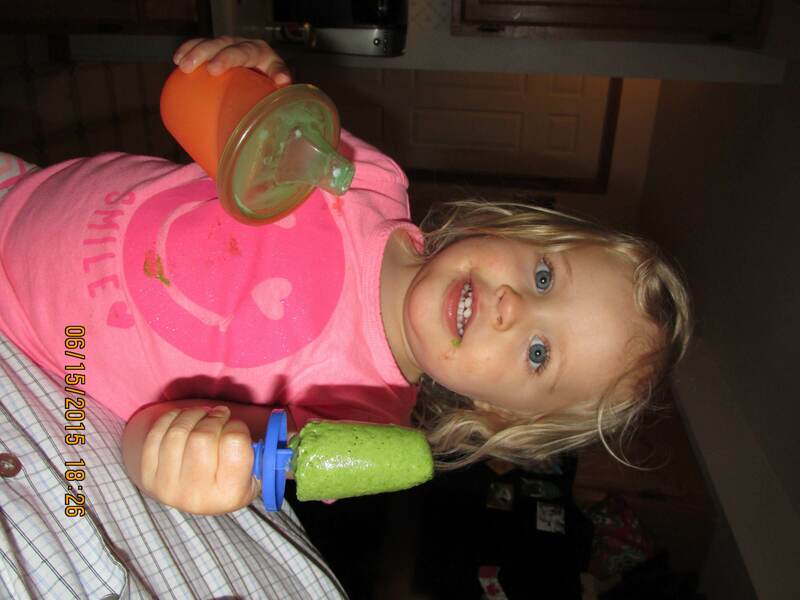 ), spinach popsicles and spinach smoothies. Buying locally grown food is good for you, your community, local farmers, and the environment. 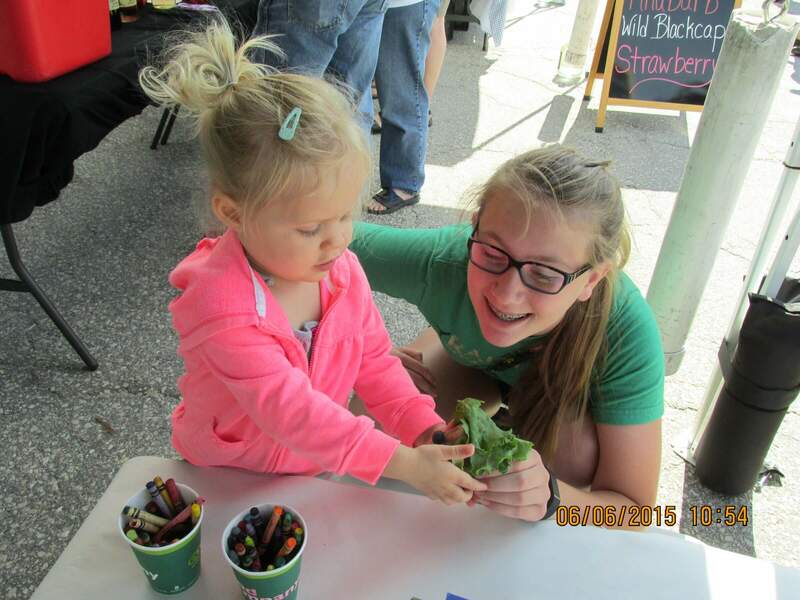 Check out these and many other great farmers markets in Northeast Iowa. What you eat matters – buy fresh, buy local!